It’s virtually impossible to avoid the overflowing crates of squash filling the farmers’ market and lining the entrances to stores like Whole Foods and Trader Joe’s at this time of year. Winter (squash) is coming. Luckily, these thick-skinned veggies are cheap (just $1-$2 each) and don’t require peeling to prepare. For this recipe, a single acorn squash is hollowed out, roasted and stuffed with nutty rice, warm mushrooms and sautéed kale. 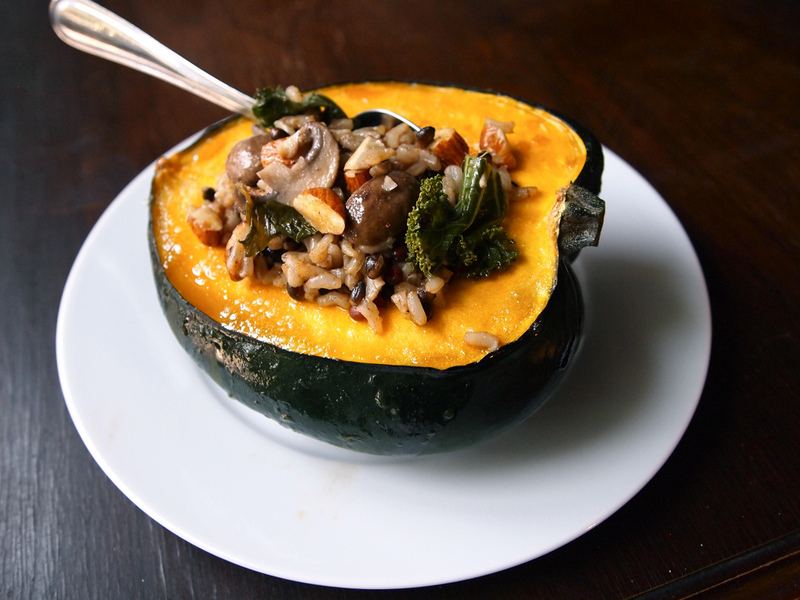 Stuffed squash is vegan and completely satisfying, as well as a unique way to use up leftover rice and those last few leaves of kale. After all, one can only eat so many raw kale salads in October. 2. Fill a baking dish with 1/2-inch of water. Set aside. 3. 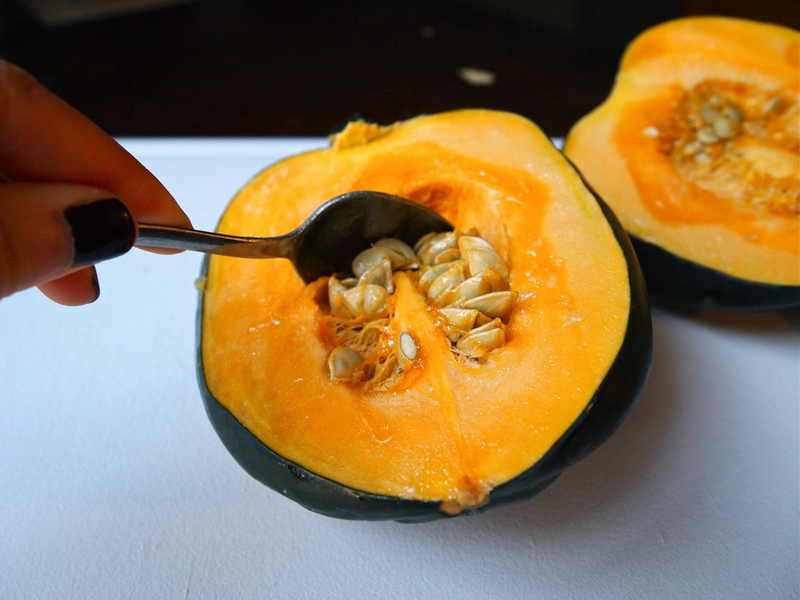 Cut acorn squash in half. Use a spoon to scoop out seeds and strings. 4. Place both halves facing up in baking dish. Cut off a sliver of the rounded bottom if the squash won’t stay in place. 5. Whisk together olive oil and maple syrup in a small bowl. Pour evenly over squash halves, pouring any extra into the hollows of the squash. 6. 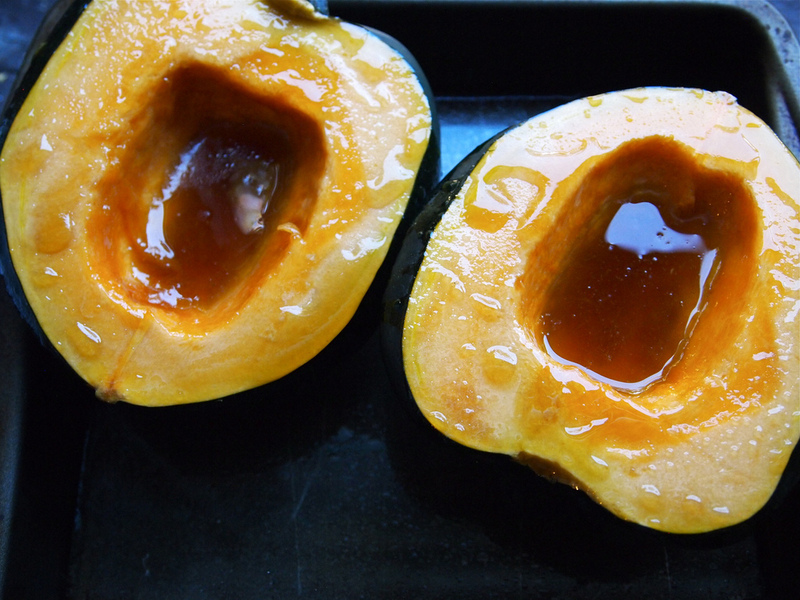 Bake squash for 45 minutes. 7. Meanwhile, heat a bit of olive oil in a medium skillet. 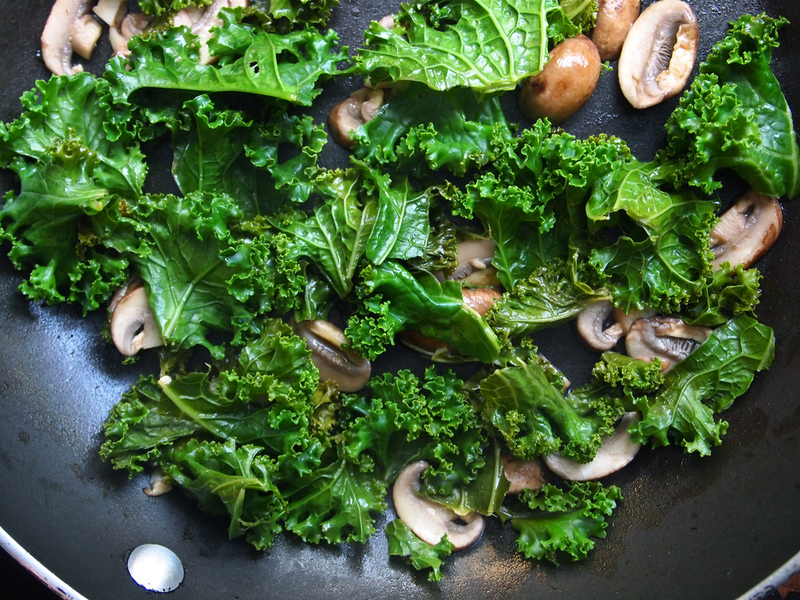 Add mushrooms and kale, and sauté until mushrooms are tender and kale has wilted. 8. Add cooked rice to a mixing bowl. 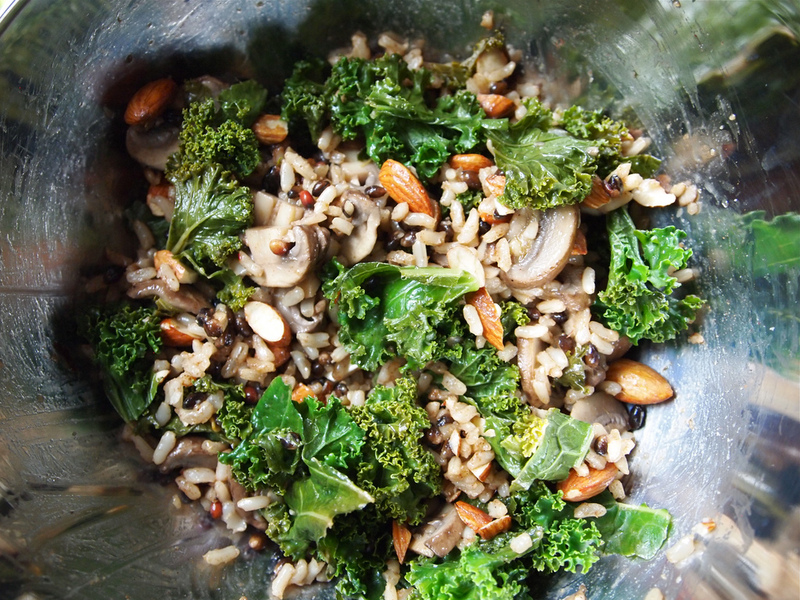 Add almonds, mushrooms, kale, salt and pepper to taste. 9. Remove squash from oven. Fill both halves with rice stuffing and eat immediately (acorn squash can be a little tricky to reheat in the microwave). If you do have leftovers, wrap the squash in foil and reheat for a few minutes in the oven.